W. Graeme Roustan Launches Roustan Media and Acquires The Hockey News | Roustan Media Ltd. W. Graeme Roustan Launches Roustan Media and Acquires The Hockey News – Roustan Media Ltd.
Toronto, Canada – W. Graeme Roustan, Chairman, Owner and Publisher of Roustan Media, and a long time subscriber of The Hockey News, today announced the acquisition of the iconic hockey publication from TVA Publications Inc., a subsidiary of TVA Group Inc., itself a subsidiary of Quebecor Media Inc. and the future launch of “TheSportsNews.com”. Founded in 1947, The Hockey News, often referred to as the “Hockey Bible”, has served its loyal readers with independent journalistic excellence for more than for 70 years. “As a Quebec-born entrepreneur, it is an honor and a privilege to follow in the footsteps of Remi Marcoux and Pierre Karl Peladeau, the previous successive owners of The Hockey News who are two of the greatest Quebec and Canadian entrepreneurs ever,” said Mr. Roustan. Mr. Roustan, who has been named to The Hockey News’ Top 100 People of Power and Influence on multiple occasions, has been playing hockey since the age of three and is a passionate supporter of the game at all levels. In addition to having been the Chairman of Bauer, he has owned many community ice rinks and supplied refrigeration systems to the Montreal Canadiens and Ottawa Senators for their outdoor rinks. He’s also a Governor of the CWHL and the owner of the CHRISTIAN and TORSPO brands. “I’m humbled by the responsibility that comes with being the steward of The Hockey News as it approaches its centennial. I can now proceed with the plans I developed years ago for the launch of TheSportsNews.com. 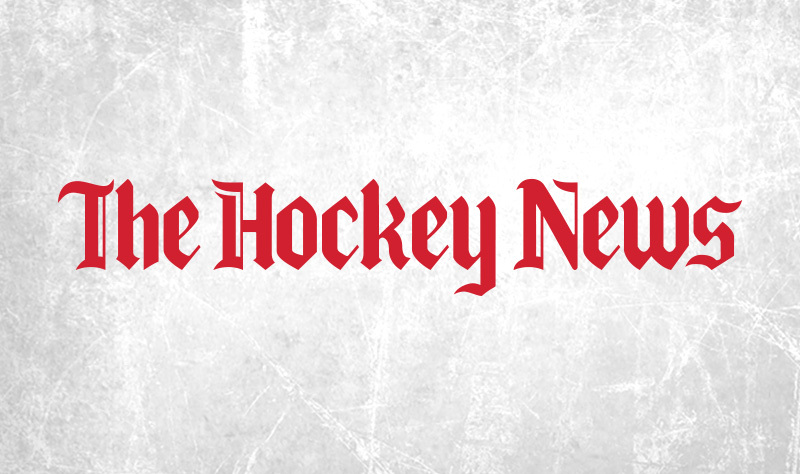 Print and digital subscribers of The Hockey News will be rewarded for their loyalty with free future digital access to TheSportsNews.com once launched,” said Mr. Roustan. The Hockey News was founded by Ken McKenzie and Will Cote in 1947 and was later owned and sold in 2015 by Transcontinental Media to TVA Publications Inc.
W. Graeme Roustan is Chairman of Roustan Capital (roustan.com) and was Chairman of Performance Sports Group, owner of Bauer from April 2008 through September 2012. While Chairman, he took the company public on the Toronto Stock Exchange. He is a current Governor of the Canadian Women’s Hockey League (CWHL) and had been a supporter of the league since 2008.